Discussion in 'Lexus Lounge' started by CIF, Sep 22, 2015. 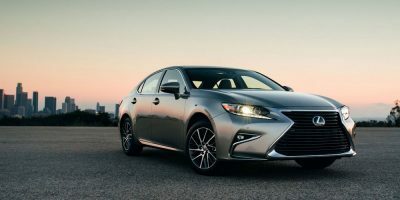 The 2016 Lexus ES has earned the IIHS Top Safety Pick+, the highest ranking awarded by the Insurance Institute for Highway Safety for crash test results. Great news for Lexus! ToMoCo struggled a bit with the small front overlap test at first, but nice to see they've hit their stride now. CIF and IS-SV like this. So why doesn't Lexus make front crash prevention system standard? Actually in Australia, Pre Collision Safety and Active Radar Cruise Control is now standard in IS,ES,RX,LX,NX,GS and will hopefully be trickling down the line to the CT in the future!